Miriam works with all areas of e-learning technology……but she is particularly interested in instructional design, graphic design, and Moodle. A qualified secondary school teacher, and native German speaker, Miriam is currently very interesting in gaming and gamification within Moodle courses (and was a Second Life guru, even running the integrated SLoodle environment, when that was all the rage), she’s also a Storyline expert. 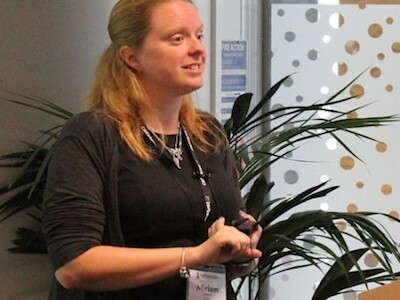 Miriam has presented at numerous Moodle Moot conferences in New Zealand, and the online iMoot conference – where her co-presentation sessions with Tabitha are one of the event highlights for many people. Currently working as an instructional designer with a District Health Board who have adopted Moodle, Miriam’s experience crosses between school, Universities, commercial and public sector use of Moodle, and she brings her relaxed and fun personality to a variety of EdTech projects.